Are you looking for a perfect beach to hang out this summer? Are you confused with all the gorgeous beaches in the world? Well, if your answer to these questions is yes, then you must read our post. Beach lovers are forever looking for a perfect beach spot. For some of the travelers, a perfect beach trip consists of blue water and white sand. And others want to enjoy the sun in peace. So there is no one strip of sand that would suit everyone. So how can I decide the perfect beach to visit? 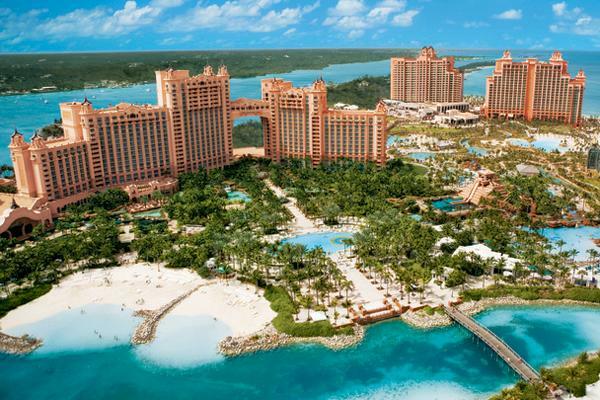 Well, we have rounded our favorite ten beaches that you can refer. The ranking shows what makes the beach stand out- accessibility, ambiance, and affordability. Have a look! 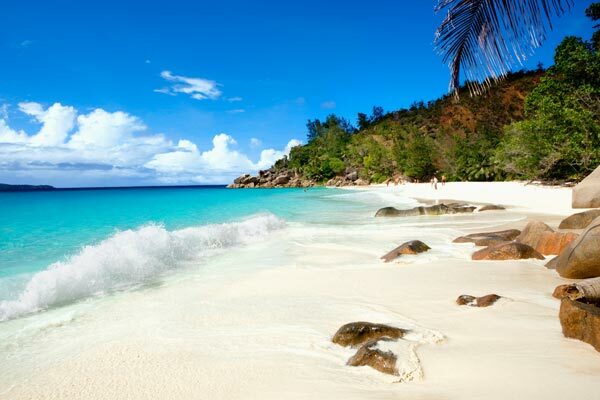 The Grande Anse Beach in Seychelles is one of the most gorgeous beaches in the world. Most of the people skip visiting here as it takes some effort to get here. But once you get here, the words will fall short to describe the beauty of the place. It has gorgeous waves and granite boulders, typical to the Seychelles. Grande Anse Beach is no less than the archetypal beach, the benchmark against which most of the beaches must be judged. You will especially enjoy this place if you are a surfer. Remember, there is not much shade and the waves can be boisterous at times. We wouldn’t advise you to swim here, even if the water invites you. 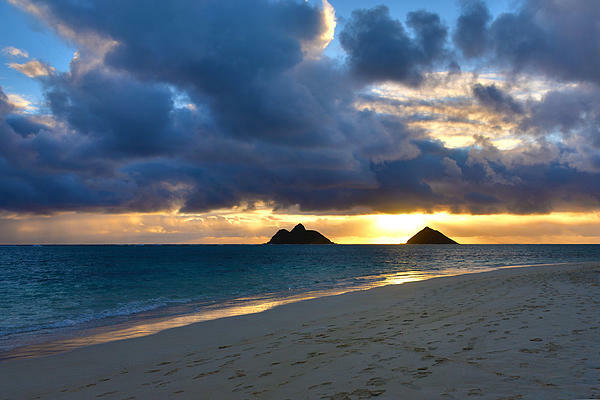 The Lanikai Beach, the literal meaning being “heavenly sea” is a neighborhood within Kailua. And you will find exactly this in the Lanikai. This beach is ranked amongst the best beaches in the world and is also “the most beautiful” of the Oahu beaches. Just adjacent to the Lanikai Beach is an upper-class residential area. The area is readily accessible through the public paths. The beach is also a public property. It is not a state land or a county beach park like the other beaches in Hawaii. Since it is not a state property, the beach lacks facilities like lifeguards, restrooms, and shower areas. The beach is less crowded during the weekdays as compared to the weekends. And it is also very crowded during the vacation season. So if you want to enjoy the beach at its best, then visit in the off-season. 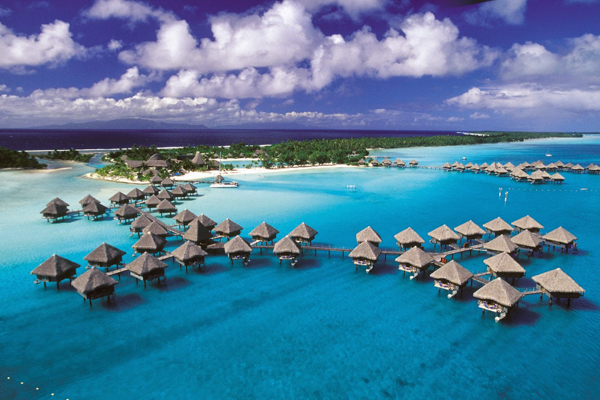 Bora Bora is just too perfect to be believable. The smell of its islands casts a spell on every traveler. The Matira Beach is the stunning beach located at the southern tip of the Bora Bora Island. It is dubbed as the most beautiful beach in the world. 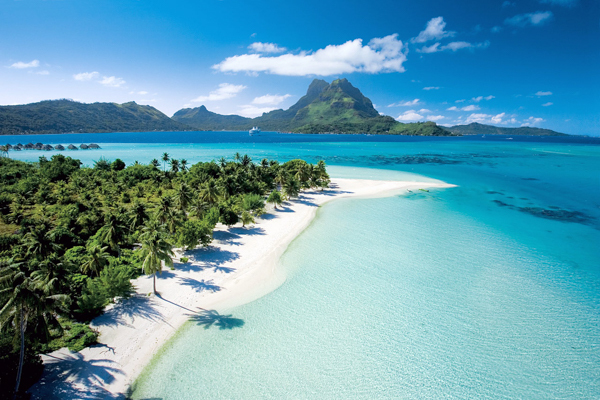 The beach stretches from the Hotel Bora Bora to the Matira Point. It has budget bungalows and luxury resorts dappling the white sand. There are many long strips of privately owned beach, each offering natural shade from the palm trees. Here you can look through the World War II memorabilia, can feed the sharks and hunt for black pearls. It’s gonna be exciting! Located on the Kohala Coast, the Kauna’oa Bay is the quintessential Hawaiian spot. The crescent-shaped beach has a plenty of palm trees, white sand, and clear blue water. Also to snorkeling and swimming, you can also ride boogie boards and sunbathe. At night, you can nestle into the sands and watch the manta rays swimming. You can access the bay via the Mauna Beach Drive. It is just west to the Route 19. There are some showers and public restrooms available here, but the parking passes are limited. And if you are hungry, you can walk to the restaurant on the beach. They serve delicious food. But swimming during the high surfs can be pretty hazardous. So be cautious. We couldn’t pinpoint just one beach from Santa Cruz as all of them are equally amazing, and each of it has a unique feature. 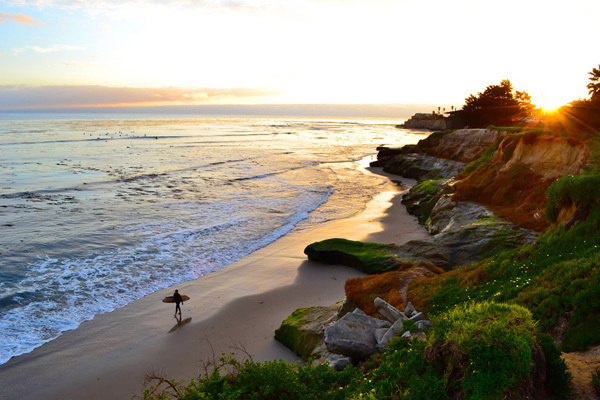 If you like surfing, then the Steamer Lane beach is ideal for you and if you want some romance and privacy, then head to Seascape Beach. And if you want to sunbathe, then the Main Beach is the place to be. It has an amusement park complete with rides, a boardwalk, and food just a few steps from the beach. The city has beaches to suit everyone’s needs. Ipanema Beach in Brazil is another stunning beach that you can consider for your trip. 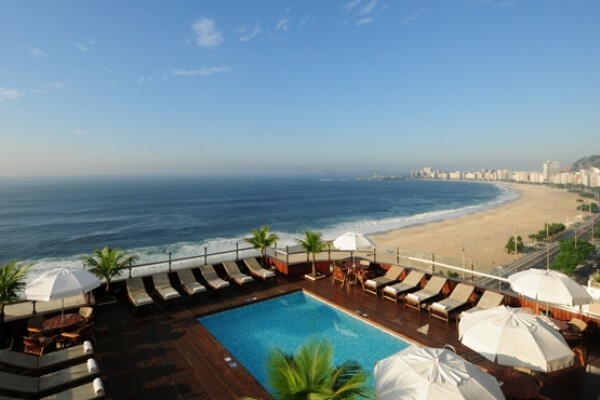 It is bordered by Leblon Beach on one end and Arpoador Beach on the other. It is one of the main centers of activity in Rio and also one of the most expensive places to live in Brazil. Also considered the “little Paris”, the Ipanema Beach is renowned for its bookstores, movie theaters, and galleries. H. Stern is one of the most famous jewelry stores in this area. You can also take a tour of their museum. You will receive a tiny box of precious and semi-precious stones as a gift. Ipanema Beach is also widely known for the song “The Girl from Ipanema”. Have you heard of it? If you are looking for a picturesque sunbathing experience, the Hanalei Bay Beach in Hawaii is a must visit place for you. 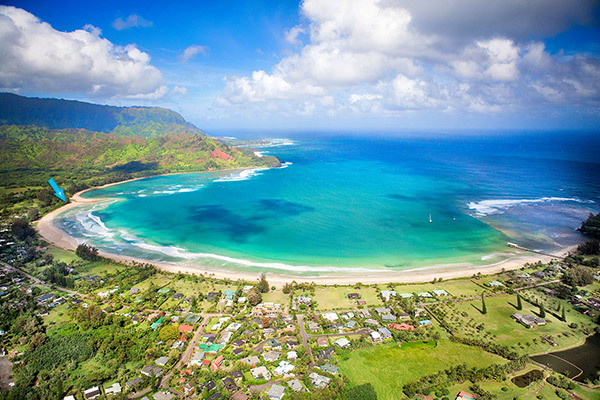 The Hanalei Bay Beach is the largest bay on the northern shore of the Kaua’s island. The three rivers Waipa, Waioli, and Hanalei cross the beach, mixing sediments into the beach. It is a perfect, semi-circle of white sand surrounded by gorgeous mountains and waterfalls. It gets very crowded in winter. And it is then when you can enjoy the surfing the best. And in summer, you can go for swimming, sailboats and paddle boarding. Hanalei Bay Beach is loved by both visitors and residents, and we’re sure you will love it too. Mexico is not short of gorgeous beaches and beautiful cities. 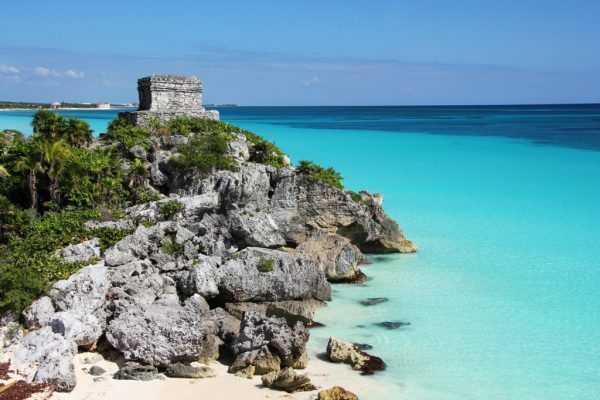 But what sets Tulum apart is its proximity to the Mayan ruins. The clear waters and limestone sands look up in wonder at the ancient Mayan ruins. Despite being invaded by tourists, Tulum beach is rather peaceful and secluded. The city, with the archeology and ancient civilization, offers a perfect combination of adventure and sun. Your jaw will drop seeing the raw beauty of this place. 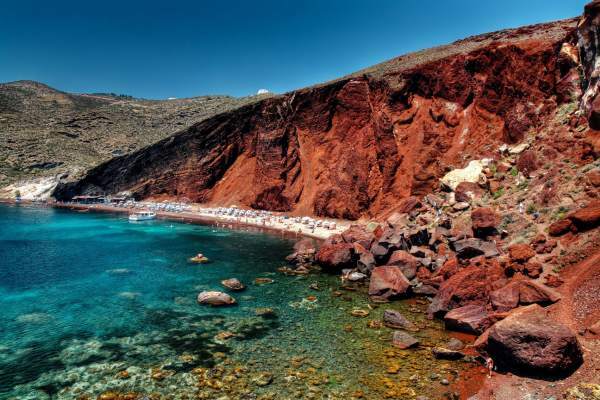 Santorini’s Red Beach is another picturesque beach. It is surrounded by red lava cliffs, which gives an incredible backdrop. The clear water provides a majestic setting for one of the most dramatic beaches. The unique and beautiful red sand makes it look unique. Did you know that the island was formed from a sleeping volcano? The beach is accessible just by boat. Or just 10 minutes walk from Akrotiri. If you love photography, then Santorini Red Beach would be a haven for you. South Beach is fondly called the Art Deco Playground and American Riviera. But there is a lot more to the colorful buildings and white sand to South Beach than these. 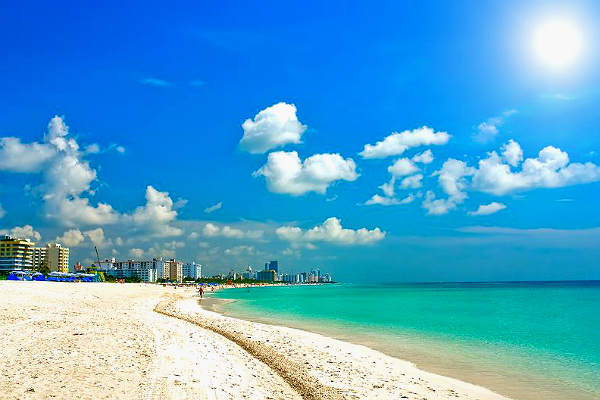 South Beach is for people who love soaking up the rays. And you are sure to spot a celebrity in South Beach if you spend some time here. 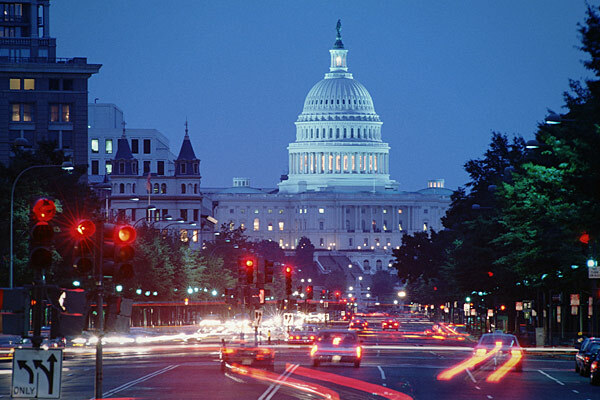 There are also world-class boutiques, stores, and galleries. The beach comes alive at night. And the skyline of Ocean Drive has been featured multiple times on television. So grab your towels and hit the sands now. And do forget to share your favorites with us.